What makes Mobile Tyre Shop's story incredibly interesting is the continued investor interest and rapid expansion plans that have actually come to fruition in such a short span of time. The business now operates in Melbourne, Sydney, Brisbane, the Gold Coast and Adelaide. Year on year growth has been significant, enabled by the paid search strategy implemented by Spicy Web. Our strategy, dubbed ‘extreme specificity’, is simple; if a user is looking for tyres in a specific location, we ensure they see a relevant advert that drives them to a landing page specifically talking about that location. We ensure ‘end to end’ relevance across all of our touch points and actively monitored all aspects of our strategy. The plan dubbed ‘extreme specificity’ consists of three core concepts; being extremely relevant, cutting navigation steps for the user and continuously testing our strategies. We wanted to test our keywords, adverts and landing page experiences quickly, then take action upon the lessons we learnt. Rather than creating hundreds of different landing pages, we implemented dynamic text fed to the landing pages via AdWords. As great as our technical and strategic implementation of these campaigns was, the real reason we succeeded was the ‘human element’ we placed so much emphasis on. We had many valuable discussions with our client and worked with them as colleagues, not ‘agents’. We sought feedback on the value created within our strategies, examining it from the ‘bottom line’ perspective that our clients hold so dearly. Everything we implemented was forward-thinking, efficient and precise. At the end of the day, if it did not bring about change to the bottom line of our client's business, it was nixed. We zigged and zagged throughout the process, adjusting core strategies as we went, whilst making sure we took our client's feedback into account. Spicy Web operated at this level due to the relationship we worked so hard to build. Our client wholeheartedly trusted us, giving us the creative freedom to do the ‘crazy’ things, we knew might be just crazy enough to work. 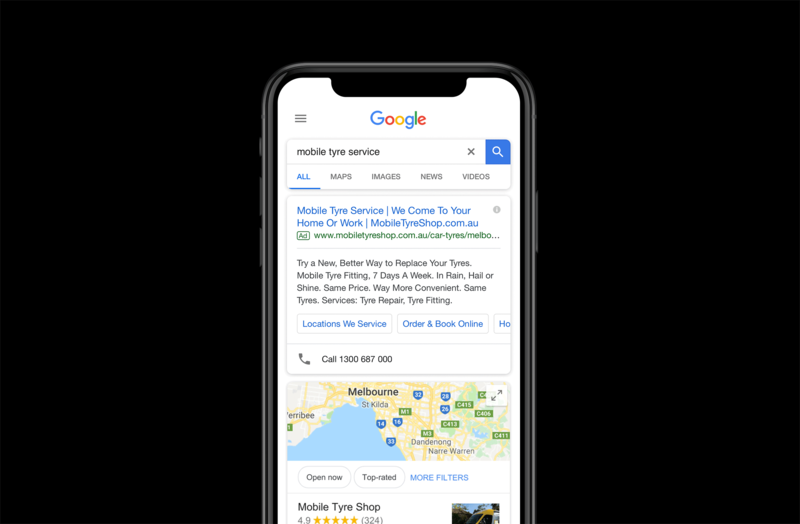 Mobile Tyre Shop has evolved from being Melbourne based, to becoming the largest mobile tyre business operating nationally, over the space of a year. Month to month growth has been 50-100% each month since the beginning of FY 17-18. Throughout this time, we’ve actively monitored and expanded our strategies to ensure a constant level of ROI. Spicy Web has been with Mobile Tyre Shop since the very beginning of this rapid expansion plan. We have seen them grow to become one of our most important clients and the project has been incredibly rewarding. Never before have we been able to implement an ‘end to end’ strategy so quickly and effectively. We’ve seen many marketing, strategy and branding companies come and go throughout the process. 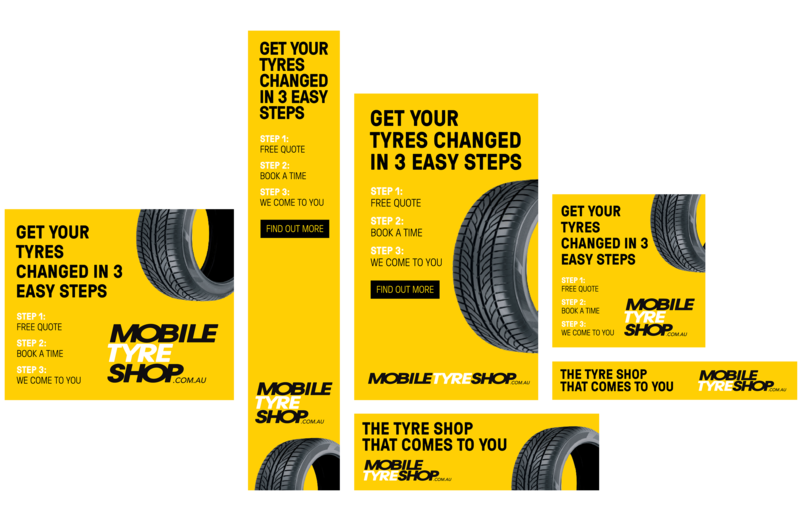 Mobile Tyre Shop has always been able to rely on Spicy Web to create innovative, ‘ahead of the curve’ solutions that truly set their business apart from their competitors. We truly invest in our clients, allowing them to grow their business alongside our own. Developing strong trusting relationships through our consistent, pragmatic and forward-thinking approach is key to our success. Click here to read more about our Mobile Tyre Shop case study.